We are in spring! As we make the transition from winter into the new season, I want to invite you to take on a personal goal to find and save as much money as you can in April. Think of it as the “grown up” Easter Egg Hunt. We all tend to have several places we spend money without really counting the cost. Once we really pay attention to our money and write down where it goes often we are surprised on how much “runs away” after the bills are paid. So, for the savings challenge, there are three basic steps that if you commit to for 30 days, you will surprise yourself by how much you get to keep in your pocket. This can seem very scary if you don’t normally give yourself a budget. We start at the grocery store because those guys are the GREATEST marketers and woo money away from us on a consistent basis with “Red Hot Buys” or those end caps with items on sale that aren’t on the list. Even if you use the item on sale, if you aren’t out, and it isn’t on the list, you will pick it up later. Save that $2.99 now. Do that for three items, and you have saved just about nine bucks. Skip the sale items you don’t need and watch the savings grow! Another tip: When you shop the sales and the “buy one, get one free” (BOGO), the bottom of the receipt will indicate what you have saved. That is money you would have spent if you had not been a super shopper. Transfer that amount to savings for additional motivation. If you know your family has a drive through dinner on Wednesday between sports and scouts, budget for it and pay cash. You will not be as tempted to add on an item or “up-size” anything when you order. And if you don’t have the debit card with you and make a commitment to stick to your budget of cash for that one week, you are likely to be more aware when you must give up your paper money, and not overspend. Even better? The rest of your money stays in the bank! Step Three: Save your change. When you are out spending only cash, you will get change as you purchase stuff. Save your change for the month. I have a few mugs around the house to collect change. One is by the front door, so you take the keys out and see the mug, you put the change in there. The one that actually gets the most coin is on the washer (right?). Once a week, collect the mugs and empty them into a centralized place, perhaps a jar, or a piggy bank. At the end of the month, count the booty. 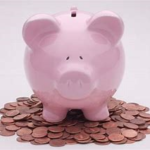 If you are already doing the steps above to your money, here are a few additional tips that you may try for 30 days and get in to the savings challenge as well! Mike and I try to squeeze at least $8.00 off the budget each week, just on various things. Seems silly, but when we are successful, we are saving a little over $30.00/month, $360.00/year. We aren’t always able to do it, but we have a goal for that money. Withdrawing money only once a week means more stays in the bank, and if we have money left over from the previous week, we can take out less. Also, this ensures we don’t keep a lot of cash around for temptation. If it’s in the bank, we are less likely to use it mindlessly! The next step after saving your change is to save your singles. Mike will break a five before he gives up his dollar. It adds up! 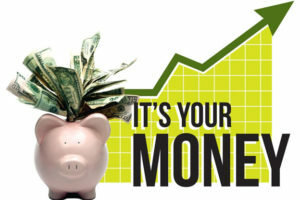 Doing that each week for the month of April may accelerate your savings! Calculate your savings weekly to really see the impact of implementing a few changes this month. Every dime you save is a win. No amount too big or too small. I’m in. If you want to see how we are doing, and let me know what YOU have saved, just like my Facebook page: dawnkennedylaw. Game on!!! It’s close enough to Black Friday, Small Business Saturday, and Cyber Monday to talk a bit about online shopping. Some very scary statistics from 2017 showed a marked increase in online shopping fraud, using stolen credit and debit card numbers. This is not necessarily surprising because consumers are starting to trust online ordering, and the total number of “eCommerce” transactions were up by 19% over 2016 numbers. Sadly, the number of fraudulent transactions during the 2017 holiday season also increased, to 22% over 2016. And a staggering 1 in 85 transactions online was an attempted fraud. GAH! Never reuse usernames and passwords for multiple merchants. If the retailer is compromised, and your login is stolen, thieves can log in to other sites using your information and make unauthorized purchases. This time of year, shipping and billing addresses often differ, so that delivery address discrepancy may not trigger a “potential fraud” flag on the merchant side. Yes, it can be a pain, but so can losing all of your holiday money temporarily until the bank refunds your fraudulent losses. The “s” at the end of the hypertext transfer protocol (you bet I had to look that one up) means, https://www.entrepreneur.com/article/281633 “secure.” The security includes data encryption. When you are on a site with only, “http” the data sent to the site can be intercepted by a third party. 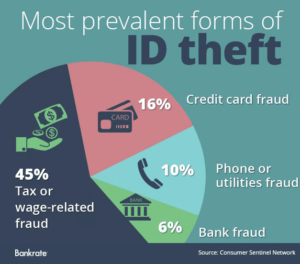 The three or four digit verification number on your credit or debit card is requested to prove that you have the physical card in your possession when making a purchase. In addition to a billing address and card number match, the code can help reduce fraud by requiring a third data point for a purchase. This is particularly important for debit card users who shop online this holiday season. Have a second (free) checking account with a debit card for online purchases, and only put enough in the account to cover your shopping budget. This limits the potential loss if the card used online is compromised. And always use the same card, tied to the dedicated account, when shopping online, or traveling. Print out copies of invoices and receipts. This way you have confirmation of what you ordered, and the total amount paid. If your card is compromised, you will be able to flag unauthorized purchases, while confirming the ones you actually made. And watch your statements and account carefully. Some financial institutions have a feature where you can receive an alert (we get a text) if there is a purchase made over a specific threshold. One word of caution, however, my husband was alerted to his holiday gift by this feature. The bank let him know when I purchased his gift. There is a real emotional toll on consumers who have lost money and had to file fraud reports over the holidays. Nobody needs that stress and frustration while trying to buy gifts or make travel arrangements. There is one other layer of protection available you should consider: make sure you take advantage of the FREE credit freeze to limit access to your personal information, reducing the risk of a fraudster opening a new account using your identity. Your New “UltraFICO” Score! A Good Thing? The Fair Issacs Corporation, the creators of the mysteriously calculated FICO Credit Score, are changing the scoring method using new criteria, again. 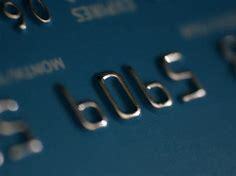 In early 2019, a new scoring method will allow consumers to contribute their banking information to a third party, Finicity, which, “allows Americans to benefit from positive financial behaviors.” The idea is that if you are newer to credit, or have a lower score, the credit bureau can have a look at your checking, savings, and money market accounts to check your credit worthiness. 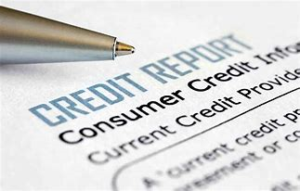 One argument in support of this new approach is that consumers do not currently have any input into their credit scores, because the FICO is calculated only on debt account data submitted by creditors and lenders. Fair enough. What could possibly go wrong? From my lowly perch, a lot. First of all, while the consumer will have a choice of accounts to include, they will not have any control over how it is collected, and whether the information is kept by the credit bureau. The process, as published in the Wall Street Journal, is as follows,“Experian will compile consumers’ banking information with help from financial-technology firm Finicity and will distribute the new score to lenders.” Yeah, read that again, Experian will send a summary of consumer bank accounts to lenders. FICO won’t keep any of that information after the score is calculated, but the credit bureau will have your banking Information. Anyone hear about the hack on Equifax? Anyone? Of course, you have. Well, have you heard about the Experian hack? 15 Million T-Mobile customers personal data was hacked via Experian, including social security and passport numbers. Lovely. Since I don’t use T-Mobile, I am already standing in line to provide my banking info. Eyeroll. It’s already happened once, and they will not be less of a target if they are the bureau with your bank accounts. Cybersecurity aside, who here believes that when the UltraFICO is available, creditors will accept the FICO? Lenders know the consumer can opt in banking information, so why not rely on the UltraFICO for lending decisions? This is the plot from the classic children’s book by Laura Joffe Numeroff, If You Give a Mouse a Cookie. The lesson? If you give a mouse a cookie, he will want a glass of milk, then a straw, then a napkin, and on and on. So, why the change? Benevolent Credit Bureaus? Hardly. Since the housing melt down, the pool of traditionally “highly qualified” borrowers shrunk. The change is due to lenders requesting, “credit-reporting firms and FICO to figure out a way to help them boost lending without taking on significantly more risk.” Oh. As a consumer law advocate, I see danger ahead. Who would be “at fault” if banking information is compromised? Any hack could mean consumer’s accounts are cleaned out until the necessary fraud investigations are completed, and the money is returned by the bank. Missed or late mortgage, car payments, or utility bills can have consequences and mean financial insecurity for the most basic needs of a family. Will your mortgage company waive the late fee if it isn’t your fault? Will the electric company leave the lights on? If not, late fees on every bill owed by the American family could add up to hundreds of dollars. And over 75% of families already live paycheck to paycheck. In my humble opinion, a “free” 12-month credit monitoring product is not going to repair that mess. Or, maybe I am just a cynic and Fair Isaacs is looking out for consumers. Around this time last year, the three credit reporting agencies had to change their rules (due to an agreement with several state’s attorney generals in 2015) surrounding reporting of a consumer’s medical debt in collections. Now, they basically have to give consumers a standard 180 day “grace period” before reporting medical collections on the consumer credit report. Another reporting change requires the bureaus to remove a past due medical bill that is later paid by insurance. For many Americans, the increase in medical debt is due to higher deductibles and out of pocket costs for healthcare, timely payment by insurance to providers, and the decision by insurers that a provider was “out of network” resulting in a lower reimbursement and the outstanding costs passed on to the consumer. A fun little statistic related to the rules change is that up to 80% of bills submitted by providers to insurers are incorrect the first time. So insurance doesn’t pay them, the bills must be corrected and resubmitted for payment. This results in delays in settling medical bills. Sometimes for months. The 180-day reporting delay is good for consumers with medical debt because these bills are often passed to collections quickly, within 30-60 days after the payment was due. Faster than many creditors will pass off non-medical debt accounts. This allows time for consumers to deal with insurance, pay their medical bills, and work on billing disputes even if the account is with collectors. It is important to note that, while it is true that it will no longer have as big an impact on the “FICO” and VantageScore credit scoring models for 180 days, other credit scoring models that lenders use have not adopted this approach. So, you still need to watch your credit report if you are facing medical debts in collections. • You are not alone. Around 43 million Americans had medical debt on their credit reports last year. The average amount of medical debt in collections was $579.00 last year. With 78% of Americans living paycheck to paycheck, this is a large enough number to cause financial hardship. 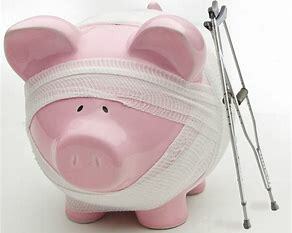 • While medical debt should NOT be ignored, if you are struggling with debt, it should be given a lower priority than other consumer debt, such as credit cards and personal loans. To do this, the medical debt must remain a “medical-debt,” meaning do not borrow or pay these debts with a credit card. • Collectors will often try to push you to pay the bill, even suggesting you just put the balance on a card. But if you pay the medical debt with a credit card, you can limit your ability to settle the debt, or seek financial assistance from the hospital or other agency. You can stop collectors from calling by making your request in writing. You just need to send a letter. • Medical debt is a big reason for bankruptcy, but not why you think. When people are too ill to work, income plummets, savings can be exhausted and often medical debt was transferred to credit cards. Remember, you now have 180 days to get medical bills handled before they hit your Equifax, Experian, or TransUnion credit report. You can dispute anything erroneously reported and have the records of medical bills that were paid by insurance removed. The second definition for “Price” in the Oxford dictionary online is, “an unwelcome experience, event, or action involved as a condition of achieving a desired end,” and the usage example given is, “the price of their success was an entire day spent in discussion.” For many Americans, the price of their credit cards, or driving a car with high payments, or a mortgage payment that is keeping them “house poor” is that unwelcome experience. And a result of that unwelcome experience is debt. And the price of that debt is stress. This is not a new phenomenon that all of the sudden Americans are stressed about money. A 2014 report from the Consumer Financial Protection Bureau found that seven out of ten American workers say financial stress is their most common cause of stress, and almost half (48%) say they find dealing with their financial situation stressful. Why am quoting stats when you may be visiting this article for ANSWERS because you are up at night unable to sleep due to money worries? Because you need to realize up front that are not alone. 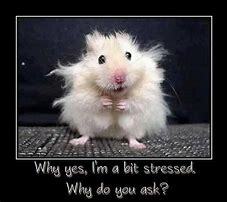 CNBC’s report translates to almost 3 out of 10 Americans are stressed constantly, over 8 out of 10 are stressed sometimes. I know, I know, “my situation is different…” and I know that it is! Everyone’s situation is uniquely theirs. What I am on a mission to change is the shame, guilt, hopelessness and embarrassment people feel when they are deep in money problems. I think that is so important. Debt is hiding in the households of the American family and it is killing the livelihood of many of us. We need to throw open the curtains and look around and understand we are not alone. You CAN take control of your money and regain your peace of mind. You CAN find people to walk with you. You CAN create the plan that is right for you and your unique situation. And you can get back that good night’s sleep.